The engine is perhaps one of the most important parts of any vehicle. 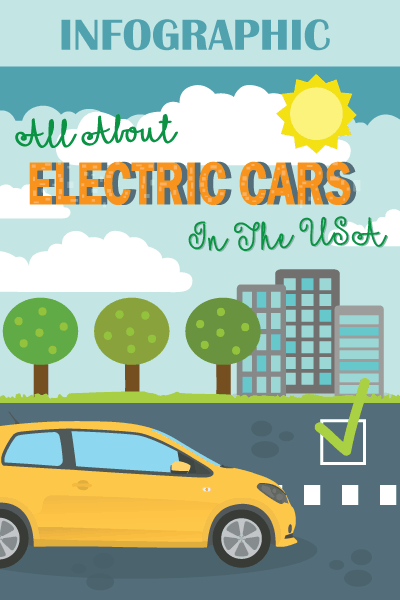 It provides the power and performance that you need from your car. That being said, it is vital that the engine is properly maintained. Take the time to have it regularly inspected so that you can spot possible problems and remedy the issue before it even gets worse. 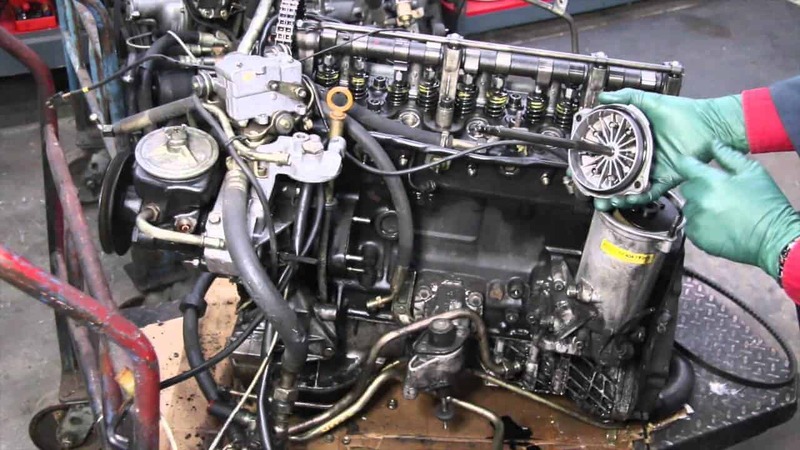 In the rest of this post, we will tackle some of the most important tips that you have to know about diesel engine maintenance. We will start with problems setting proper valve clearances, which is one thing that most new DIYers commonly complain about. We will also briefly tackle other issues that you may be confronted with when trying to do what it takes to maintain the peak performance of your engine﻿﻿. The valve clearance is one of the most important things that should be emphasized in the maintenance of a diesel engine. If the clearance is wrong, the vehicle can suffer from serious problems. It can cause damages to the valves and the other components. Problems with the valve clearance can also increase smoke produced by the engine and lessen fuel efficiency. If the valves are too loose, they will be hammered and can create a knocking sound. On the other hand, if they are too tight, the valves may no longer close at all. The result is that it can suffer from failure or too much heat. If you cannot set the proper valve clearance, the problem is with the nuts. The nuts that connect the valve system might have slipped or are possibly damaged, which is why the right clearance cannot be set. Changing the nuts cannot be done without changing the head, making it possible to correct the clearance. It is not easy, so you need to have advanced DIY skills. As a solution, you need to look for locking nuts that are made of high-quality metal so that it will never strip, and hence, will lessen the likelihood that the valve clearances will have a problem. Watch the short video below to better understand how the nuts affect the clearances of the valve. How would you know if the valve clearance is right? You need to perform a quick check, which can be done by following the steps that will be mentioned below. Turn off the engine and provide enough time for it to cool down. Also, you have to wait until the temperature of the coolant is less than 60 degrees Celsius. Once it has cooled, remove the nuts that secure the valve cover. Remove the window plate that covers the housing of the flywheel. Rotate the engine and based on the direction, you will be able to determine the clearance and see if there is a problem. If the clearance does not meet the requirements, all that you have to do is to loosen the screw or the nuts. As mentioned earlier, the nut is the reason why the clearance has problems. After making the adjustment, check the clearance again and see to it that it already meets the requirement. 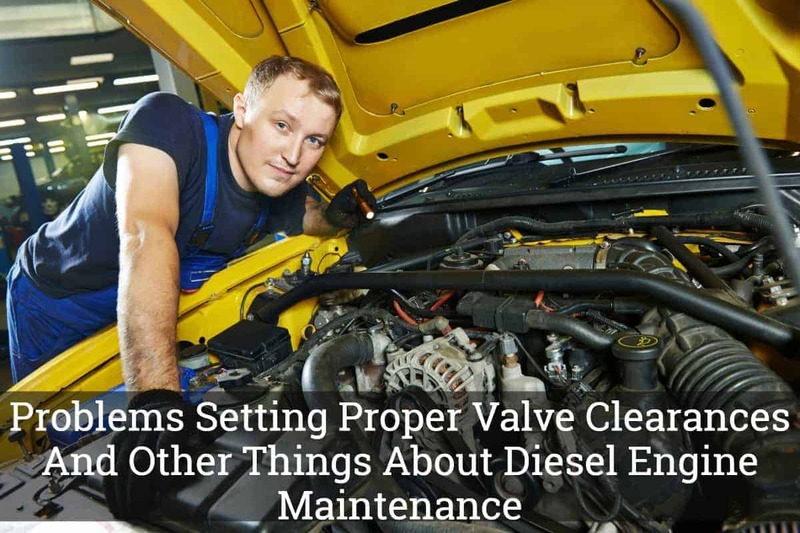 Now that we have tackled the main point of this article, as a bonus, we will also provide you with insights on other things that can be done to maintain the peak performance of your diesel engine, not just adjusting the valves. Keep your coolant in check. Through time, it can be more acidic, which, in turn, can compromise its functionality. If there is too much acidity in the coolant, this can damage other components of the engine and may make them easily prone to wear. They should be flushed on a regular schedule and replaced with a suitable coolant. Like the coolant, the fuel filter is also important to be changed based on a regular schedule. As much as possible, you have to replace it once after driving the vehicle for 10,000 to 15,000 miles. Regular cleaning of the diesel engine using the right products will also be instrumental in maintaining its peak condition. Make sure that it is free of dirt and grime. Keep the components clean so that it can function at its best as a whole. Using a diesel treatment can also prove to be an excellent idea. Add it when you are done filling the diesel tank. The treatment will be effective in getting rid of impurities, making sure that they will not negatively affect the performance of your engine. You should also regularly monitor the gaskets, especially if you often drive on rough roads. They can suffer from vibration, and hence, can loosen over time. You have to re-torque the bolts and nuts to make sure that all components are secured and working properly. This will also prevent leaks, among other problems. Bleeding the fuel system is also essential when it comes to the regular maintenance of your diesel engine. There can be trapped air in the engine, which will prevent the supply of the right amount of fuel in the cylinder. One of the best ways to avoid this problem is through bleeding. Pay attention to your dashboard. If the warning lights are on, you should act as soon as possible, although many problems may not be serious. By doing an immediate action, you can solve the problem before it gets worse. Consult with your manual to perform a quick diagnosis so that you can quickly determine the problem. In sum, if you are having problems adjusting valve clearance, the reason for this is probably the nuts that connect it to the engine. It might have slipped or can be damaged, which is why they need to be replaced. 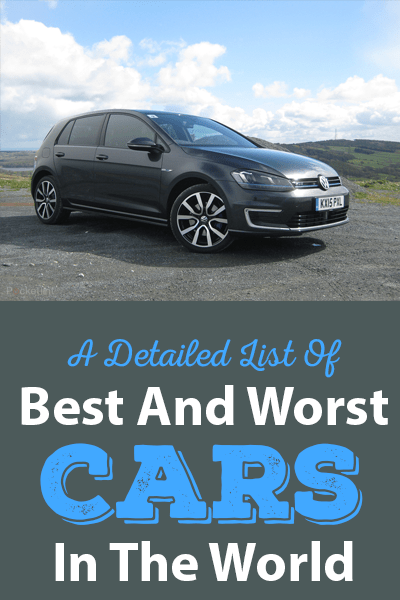 Aside from doing this, consider the other points that have been raised above to make it easy to keep the diesel engine running in its tip-top shape, even if you have an old car.